The accelerated globalization of the food supply, coupled with toughening government standards, is putting global food production, distribution, and retail industries under a high-intensity spotlight. High publicity cases about foodborne illnesses over recent years have heightened public awareness of food safety issues, and momentum has been building to find new ways to detect and identify foodborne pathogens and eliminate food-related infections and intoxications. 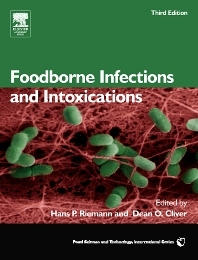 This extensively revised Third Edition covers how the incidence and impact of foodborne diseases is determined, foodborne intoxications with an introduction that notes common features among these diseases and control measures that are applicable before and after the basic foodstuff is harvested. University of California, Davis, School of Veterinary Medicine, U.S.A.